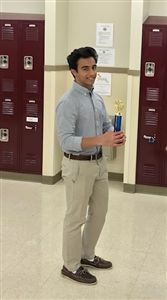 This weekend Archmere sophomore Rohit Mather took first place honors in two categories: Declamation and Lincoln-Douglas Debate, at the 2nd Annual First State Speech and Debate State Championships, held at A. G. Waters Middle School in Middletown, DE. Up until last year, Delaware was the only state in the U.S. not offering speech and debate activities. The schedule for the Championships included three rounds of competition in every event, with the exception of Policy Debate and Congress, which had two rounds. 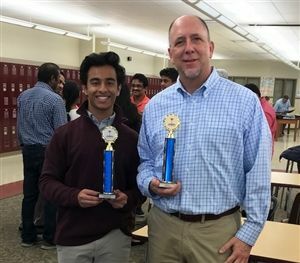 Rohit, along with Owen Phillips '21 and Amanda Treston '22, will next vie for national honors at the Grand Nationals of the National Catholic Forensic League (for which they qualified on March 23) over Memorial Day Weekend in Milwaukee. The students are supervised by Mr. Tim Dougherty.